In the early 1970s, a new form of music was emerging in the South. A mixture of blues, country, gospel and the English invasion of rock and roll that later was to be coined the phrase “Southern Rock.” The music was filled with style and emotion and with bands in the forefront such as the Allman Brothers, Lynyrd Skynyrd and a band from Jacksonville, Florida called Molly Hatchet. Named after a famous 17th-century axe murderess “hatchet molly” who would behead her lovers with the hand tool Lizzy Borden made famous. Their self-titled debut album was released on Epic records in 1978 and reached multi-platinum status as the band established their reputation of working hard, playing tough and living fast through intense touring with such bands as Aerosmith, Bob Seger, The Rolling Stones and many more. In 1979, Flirtin’ With Disaster was released and history was in the making. The band continued touring on the road with an average of 250 live shows per year and like the first album, it also achieved multi-platinum status. Lead singer, Danny Joe Brown left the band in 1980 and contacted Bobby Ingram, a Jacksonville-based guitarist and friend, who gave brown his first singing gig in 1975 with a Jacksonville based band called Rum Creek. Brown and Ingram then put together with keyboardist John Galvin the Danny Joe Brown Band and continued touring until 1982. The album was produced by Glyn Johns at Compass Point Studios in the Bahamas as he has worked with legendary artist The Rolling Stones, The Beatles, The Who, The Eagles and many more. During this time, Beatin’ The Odds (1980) and Take No Prisoners (1981) was released with singer Jimmy Farrar. 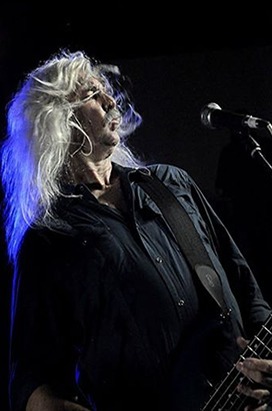 Brown returned to record No Guts … No Glory (1983), The Deed Is Done (1984) and Double Trouble Live (1985).In the fall of 1985, Bobby Ingram of Jacksonville came into the band as lead guitar and songwriter and the band continued to tour over 200 dates a year and in 1989 record Lightning Strikes Twice for capitol records. 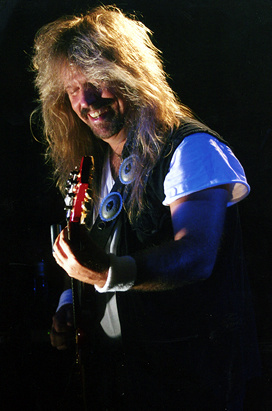 In 1990, while Ingram, Galvin, and Brown continued the tradition as Molly Hatchet the tough touring schedule lead to the other member’s departure from the band. The Greatest Hits album was released in 1991 and certified gold. The band from 1990 until 1995 took a break from recording but continued to write new songs and tour in the United States, Canada, and Europe. Devil’s Canyon, the first studio album in 6 years was then recorded in Hamburg, Germany in 1996 under the care and guidance of Rainer Hansel, CBH Records. With producers Kalle Trapp and Bobby Ingram the album was voted the number one rock record in Europe for 1996. 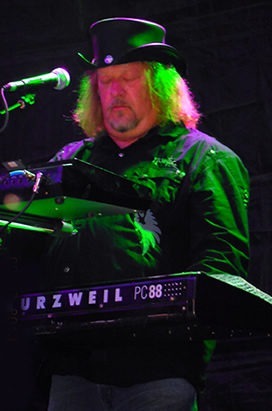 With a history of diabetes, brown was unable to fulfill studio and touring responsibilities and he brought in Phil McCormack to take over the lead vocal position. Long time member Bobby Ingram – lead guitar, Phil McCormack – lead vocals, John Galvin – keyboards, Bryan Bassett – lead guitar, Andy McKinney – bass, Mac Crawford – drums, make up the current lineup. From the release of Devil’s Cannon and the worldwide touring coordinated by Steve Green, Artists International Management, the band has continued performing the classic hits such as “Flirtin’ With Disaster, “Gator Country,” “Whiskey Man” and “Dreams I’ll Never Dee,” as well as, the current hits in the true spirit and southern tradition of Molly Hatchet. The 1998 release of Silent Reign Of Heroes was recorded back in Hamburg, Germany with producer/guitarist Bobby Ingram and is kept in the same spirit and tradition as the past with new hit songs “Mississippi Moon Dog,” “Saddle Tramp,” “Miss Saturday Night” and the title track “Silent Reign Of Heroes”. Included on the album is an acoustic version of the classic hit “Fall Of The Peacemakers”. The band is currently on an extensive 18-month world tour in support of the new release “Kingdom of XII” where guest artist Charlie Daniels appeared on 2 tracks the album charted in Europe and had much success. In 2003 the band is celebrating it’s 25th anniversary of the first national or international release with first a double Live album “Locked and Loaded” recorded in Germany as they consider this their home away from home and it is the first time in 7 years that a Live album has made the European Charts and SPV GmbH is still there beloved record company with Rainer Hansel and Manfred Schutz. The band has plans on touring in support of the 25th anniversary and will release a new studio album of all of the classic songs re-recorded in this generation of the band with Artists International Management, Inc. as their agency. And Locked and Loaded a double CD that was recorded in Germany at the International Harley Davidson Festival in front of 80,000 Southern rockers that has now been captured on DVD and being released fall of 2005. After 4.5 years of touring and tracking outside of the studio on their own material, it was time to release an album that in the band’s tradition go back to the roots of straight forward southern rock and roll that are unequaled of anything the band has recorded before in the 25-year legacy. The album “Warriors of the Rainbow Bridge” recorded in the mountain tops of Bavaria was the perfect setting for such a comprehensive project. As we live day by day no one knew that Bobby Ingram would suffer the loss of his wife Stephanie during the tracking of the album and finish after a delay. Stephanie was the seventh member of Molly Hatchet and she did many things behind the scenes that no one ever saw and she was never the person that would ever want anything in return. The Southern Rock community has lost a great person that she gave all and loved Molly Hatchet and the friends she made along the way. If that was the first emotional heartbreak, Danny Joe Brown the singer for Molly Hatchet passed away from complications of diabetes he had suffered with for many years and he gave so much to the rock and roll industry and music around the world all of our heartfelt condolences and prayers go out to his family and children and he also will never be forgotten. In 2006, Duane Roland, guitarist of the band passed away and also left a legacy that will never be forgotten. We will all miss him and his music lives on. 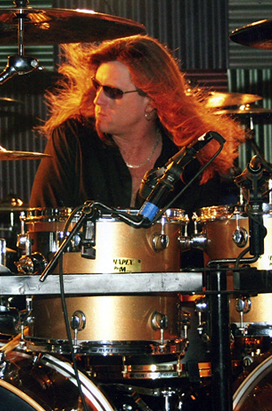 In 2005, Dave Hlubek, a founding member after playing in various bands around the United States has returned to Molly Hatchet after 20 years. Everyone was glad to see Dave having a good time and doing what he does best…the tradition lives on! !